The State of Ohio requires NCCAOM Certification for acupuncture license renewal. 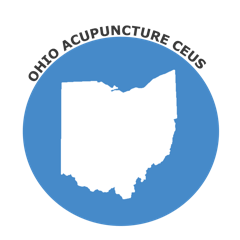 The Ohio board accepts NCCAOM approved PDAs/CEUs for Ohio Acupuncture License Renewal. Please visit the NCCAOM PDA or CEU course page for more information. (b) That the applicant has successfully completed one six-hour course in herb and drug interaction approved by the NCCAOM in the four years immediately preceding the expiration date of the applicant’s current and active designation from the commission as a diplomate in oriental medicine or diplomate of acupuncture and Chinese herbology. (2) To be eligible for renewal of a certificate to practice as an acupuncturist, an applicant shall certify to the board that the acupuncturist has maintained a current and active designation from the national certification commission for acupuncture and oriental medicine as a diplomate in acupuncture. (C) If an applicant submits a complete renewal application and qualifies for renewal pursuant to division (B) of this section, the board shall issue to the applicant a renewed certificate to practice.